Most people are eligible for Direct Payments provided they can manage their money, make good decisions about how they spend it and keep simple records of how they have used their Direct Payments towards their care funding. Mum’s Helping Hands provide a wide range of domiciliary care packages designed to meet the individual care needs of people who are in receipt of Direct Payments. We understand that it can get very expensive to use multiple providers for several different services and this can be very difficult to organize. We know the importance of individual needs therefore Mum’s Helping Hands can tailor-make packages at affordable rates. Companionship and socialising is important to clients who may be socially isolated or if the client’s in-home carer is away from the home for a short period of time. The time spent with each client is managed on an individual need basis. 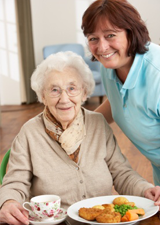 The carers offering companionship for clients are highly ethical, highly trained and friendly without being overbearing. They focus on the client and their requirements for their allotted time to let the client to enjoy their time with a companion that is suited to them. This offers clients an opportunity to be taken out by the carer who can drive, accompany them to the shops and help carry their shopping. If necessary the carer can actually shop, do banking or pay bills for the client while the client remains at home or in the car. Carers who accompany clients to the shops, bank or Post Office are trained, honest, cheerful and caring. Clients are safe with carers who stay by their side whilst shopping or if the client prefers, wait while the client does their own shopping and helps pack, carry and unpack the client’s goods if necessary. 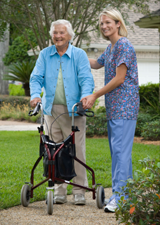 The carer’s vehicles are well maintained and fully insured. Expert domestic help is given to the client such as vacuuming, washing, hanging out washing, sweeping, cleaning floors, washing up, cleaning bathrooms, making beds or helping in any way necessary inside the home. Professional spring-cleaning can be organised by the company if needed. 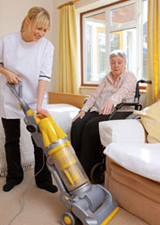 Our carers are also trained and qualified to NVQ Level 2 in cleaning. They are hygienic, cheery, congenial, and methodical in their approach and give attention to detail while cleaning. When a client is unable to prepare their own meals at home because of post-operative difficulties, dementia, lack of mobility or other problems, a carer can provide help with meal preparation such as chopping up food to be cooked at a later date or actually preparing and cooking the client’s meal for them. All meals are hygienically prepared, created with care and prepared according to the client’s or their in-house carer’s instructions. Transport can be provided for the client to visit doctors, hospitals, shops or whatever the client’s individual need is. If the client has their “Disabled Parking” card, we will still be able to use Disabled parking areas to make their outing as easy as possible. 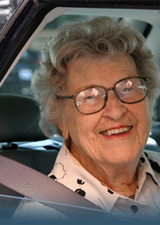 All carers are punctual, careful, safe, comprehensively insured drivers who abide by the rules of the road. Carers will wait for you while you attend your doctor, physiotherapist or dentist and take you safely home. Provides care and assistance to a client who has recently returned home from a hospital stay or operation and is recuperating. This is usually a short-term type of assistance and consists of help with domestic work such as washing, cleaning and occasionally food preparation or shopping. A carer is able to remind a client when to take their medication if the client takes their medication themselves, usually via the use of a Webster pack, made up and provided by a chemist. 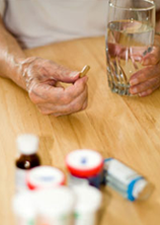 Medication prompting can be given at various times during the day whenever necessary such as at breakfast or evening. It is usually part of a personal care routine. 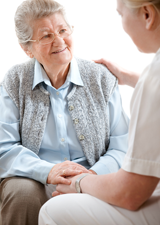 We are licensed to provide this service by the CQC. We understand how valuable the companionship of animals can be to the elderly and disabled, but know that with age it can become difficult to care for them which sometimes means they can’t be kept any more, especially in the case of dogs that need regular walking. 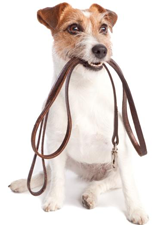 This is the last thing we want to happen which is why we offer dog walking and in-house pet care to ensure that our clients can remain with their animal companions without any difficulties. It doesn’t take much time for a garden to grow out of control, and as the work can be very physical a lot of our clients are unable to tend to it. This can be upsetting as spending time out in the fresh air can be very important to the elderly. 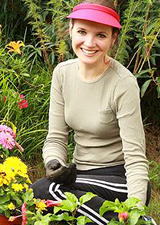 We have workers who can help maintain a tidy garden by mowing the lawn, trimming hedges, planting flowers and other similar tasks. If you require more information on our packages please feel free to contact one of our representatives on 0115 942 0028.